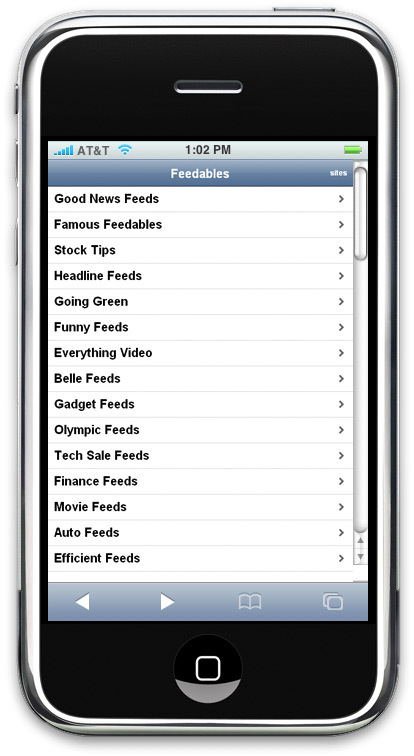 In case you guys have an iPhone then you should definitely check out our new iPhone Feedables skin for all of your favorite Feedables. Just point your small browsers @ http://www.feedables.com/ and we’ll do the rest! Race Fans! Start Your Engines! © Feedables 2007. All Rights Reserved.